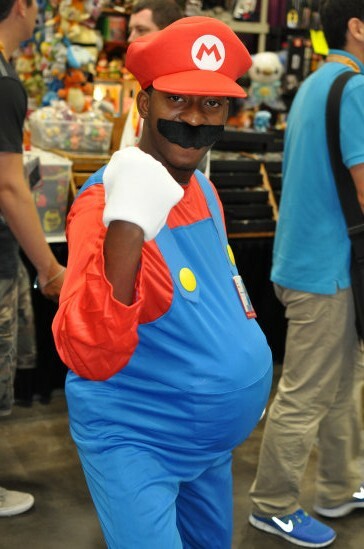 I-Mockery.com | I-Mockery's Big 2012 San Diego Comic-Con Photo Album! She handed me a quest printed on a piece of paper that told me to take a break. Khaleesi was there, but without her dragons. 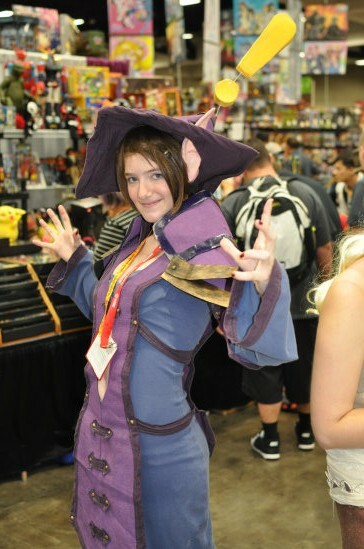 I'm sure they were busy burning some other cosplayers. 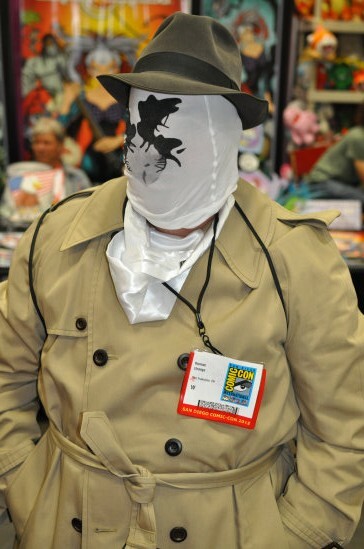 Rorshach, complete with a mask that had changing ink spots whenever he breathed. 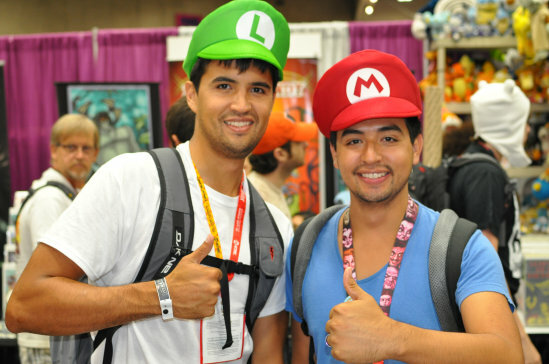 Mario and Luigi... or just two guys who really enjoy their headwear. I knew it... I'm surrounded by assholes! 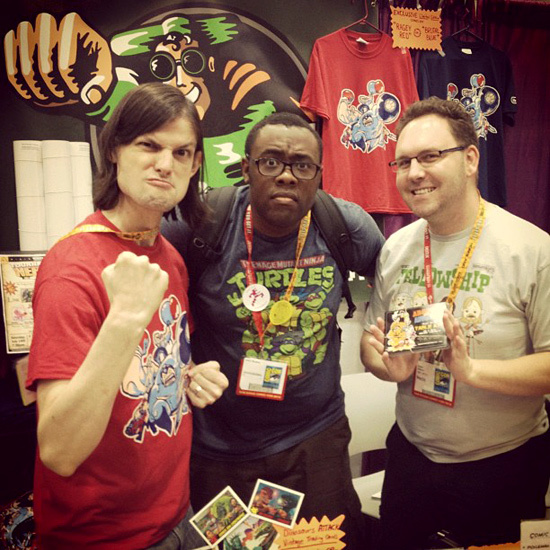 Hanging with my pals - Andre "Blacknerd" Meadows and Robert "Coin-Op TV" Welkner. I wonder how often he has to oil that whole getup. 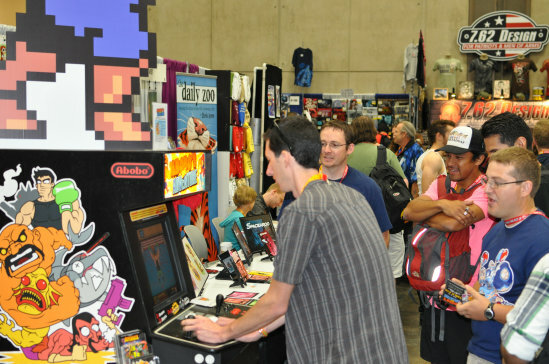 Michael (aka: "Tacobot" from our forums) draws in a big crowd as he takes on Big Mac! Pretty? Creepy? Pretty creepy? Either way, she looks awesome and terrifying all at once. 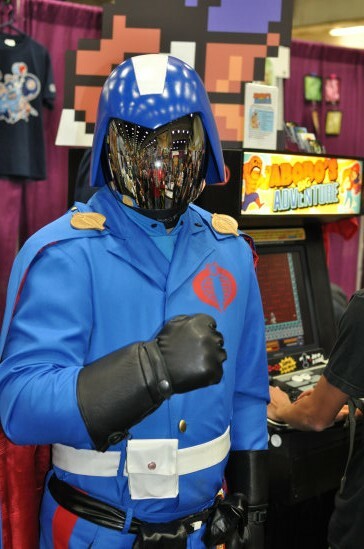 You'd be hard pressed to find a better looking Cobra Commander. Cobraaaaaaaaaaaaaaaaaaa!!!! 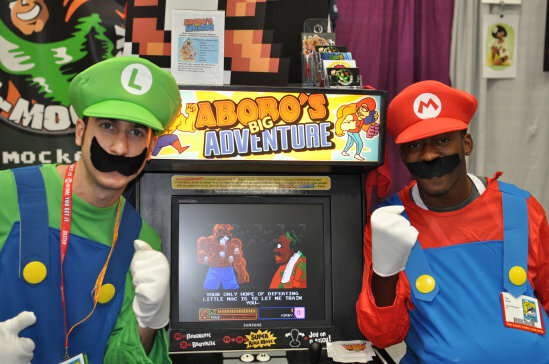 ...but not before he and Luigi get in some time on Abobo's Big Adventure! 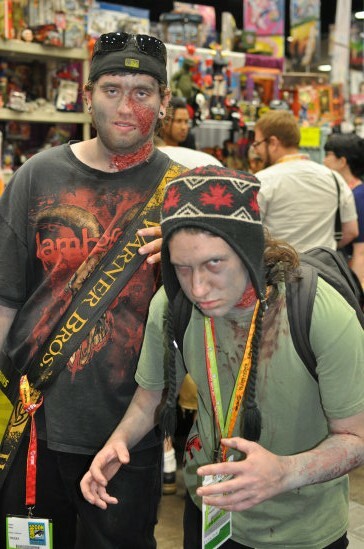 There's never a shortage of zombies walking around Comic-Con. This is my pal, Austin. Are you scarred for life yet? 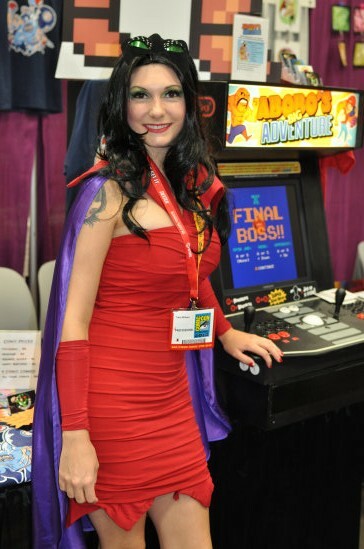 2012 San Diego Comic-Con photos to see! Click here to continue onward to page 14! Thank you so much for putting together another great pictorial! 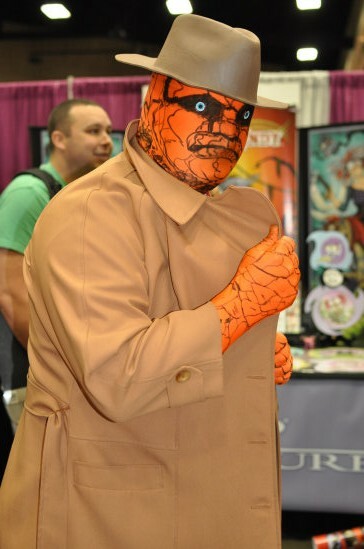 I think my favorite this year was the Pee-Hee Herman cosplayer, but it was all excellent. (BTW, the "Alien" movie novelization is actually not a bad read). Great job with the pics, Rog! 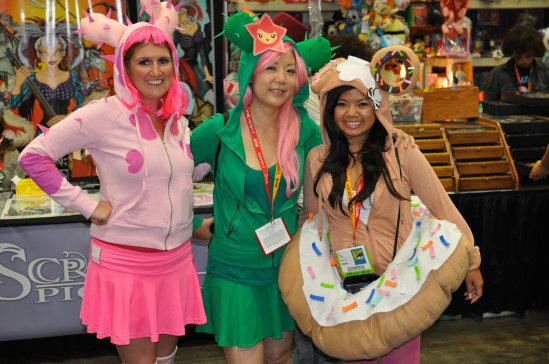 Thanks for all the effort to bring the con to those of us who couldn't make it there. 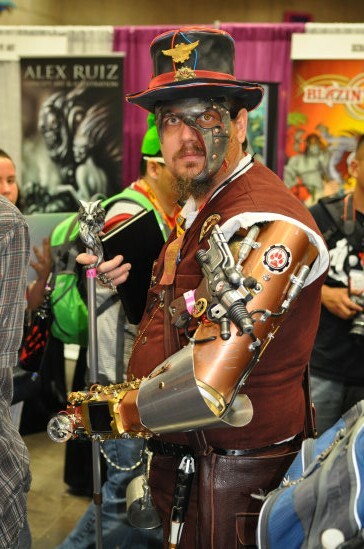 I think that "zombie prospector" is Torgo! Great gallery! Looks like you guys had a good time this year. Hopefully I will be able to make it out again next year...haven't been since 2009! Totally Awesome Radical Dudes!!! 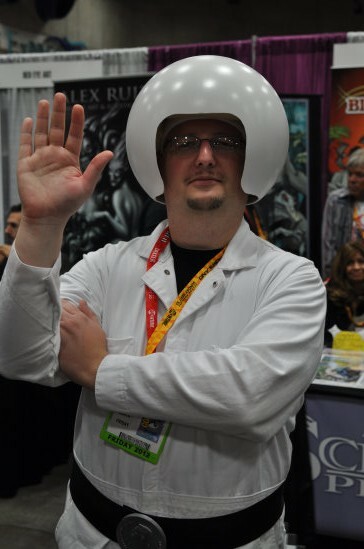 Another Spectacular Year of Comic-Con Coverage, Complete with nostalgic pics & dashingly witty comments by -RoG- & the I-Mockery crew!!! Thx So Much for bringing it All here, for All of us to see. I was So sad when I got to page 20...but I know 2 months of Halloween is around the corner so I'm still a Happy Vamper! 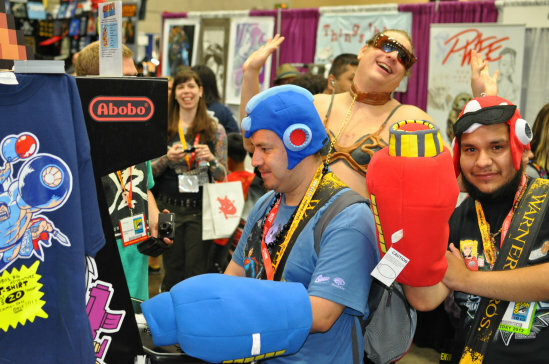 Stellar job on the booth this year too...Abobo's Big Adventure Rocks!!! 2 questions, #1 Does this complete your Boglin collection? #2 Would you have really tried the Slimmer toothpaste had it not finished into thin air??? This pictorial is the next best thing to being there. Thanks, Rog.